Win a FREE Springfree Trampoline, a $1,749 value! Home Entertainment	Smarty Giveaway: Win a FREE Springfree Trampoline, a $1,749 value! Smarty Giveaway: Win a FREE Springfree Trampoline, a $1,749 value! Forget about Cyber Monday – y’all don’t have to spend a dime to win something big for the holidays on Charlotte Smarty Pants! Today, CSP kicks off our Smarty favorite Holiday Toy Guides by age (scroll down in our daily post feed). In typical Smarty fashion, we are kicking the guides off with a bang – or a giveaway – actually, a REALLY BIG giveaway! We’re thrilled to announce that our Smarty friends at Springfree Trampoline are giving one lucky Smarty a FREE trampoline, just in time for the holidays! Read on! We’ve used smart engineering in every inch of our design. From our patented safety design to tgoma’s one at a time play feature, you’ll have peace of mind that your kids are having a safe, fun jumping excperience. We believe safety and quality go hand in hand. Every Springfree is built in our own facility where we rigorously test every component and manufacture our trampolines with only the highest quality materials; so you get the same enjoyment year after year. 1) Complete this Official Entry Form in its entirety. 2) Like Charlotte Smarty Pants (@charlottesmarty) and Springfree (@springfree) on Facebook AND share a link to this post on your feed. Make sure to send your link to info@charlottesmartypants.com with “CSP Springfree Contest” in the subject to be entered. This REALLY helps us spread the word! 3) Leave a comment below with what your kids’ #1 Christmas wish is. 4) Subscribe to the CSP newsletter. This is a must, it’s how we’ll announce our winner on Thursday, December 8th. Both my kids would love to see out of state family more often. That is their Christmas wish. To spend a lot of time with their cousins. Both of my boys would like a family trip to the mountains, this year. My kids would love to spend more time with their out of town cousins and a drone…. One child wants a puppy (we have 3 dogs already, so please no puppies Santa!) and the other child really wants a 3DS. A trampoline would be a wonderful surprise to both! They really want to ride the Polar Express. They would explode for a puppy! American Girl everything for one, a “ninja warrior obstacle course in the backyard” for the other. A trampoline would make their heads explode! 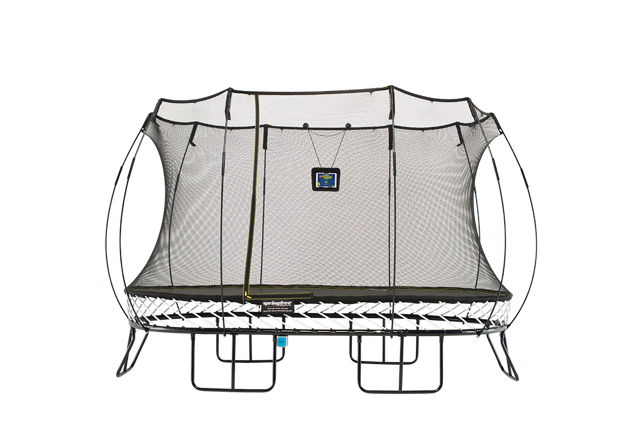 My oldest wants a Gopro to make cool videos, my little gymnast wants a trampoline, this one would be so so So amazing!! My youngest wants hot wheels and legos! Love when they are super little and ask for easy stuff!! Xbox Games and an Orbeez Spa! We moved to a new house this summer with a bigger yard. All my 12 year old gymnast wants is a trampoline! My 7 year old boy wants one too. A stay at great wolf lodge…and hot wheels! My son wants a computer kit; my daughter wants all things pink and girlie. A weekend in the mountains! “Storage and organization bins”? Not joking. Nintendo 3DS XL – b/c the iPads, iMac and PS4 aren’t enough! two of my kids want laptops and my third one is still undecided. I’m sure they would love a trampoline!! My kids want a TRAMPOLINE!! Our grandson wants a trampoline!!!!!!!! Raybans, but a trampoline is number 2. Both of my kids have a trampoline and hoverboard on the top of their list! My daughter would love to visit the polar express! A trampoline and video games – ugh! my Daughter wants gymnastics equipment! A kareoke machine and a trampoline! 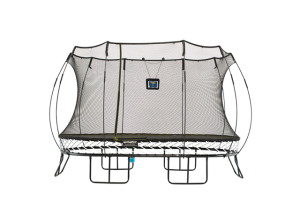 My kids have been asking for a trampoline since last Christmas…would LOVE to win this! To keep the foster kittens that we have, but that is not happening, so winning a trampoline would lift some spirits!! More Shopkins! Of all things! Boys want to keep winning in football – GO COUGARS! And she wants another dog for Rudy! Merrry Christnas to all! I have 4 kids and they all have different wishes. My 13 year old son wishes for his own basketball hoop. My almost 12 year old son (his birthday is next week) wishes for video games. My 7 year old daughter wishes for a trip to Great Wolf Lodge. And my 1 year old daughter wishes she could open all our kitchen cabinets. LOL! This will be the third year in a row that Annabel has “Trampoline” on her Wish List to Santa but will not be getting it from Mom and Dad!! Maybe Smarty Pants….fingers crossed! American girl anything for the girl, laptop for the first grader and 2 year wants remote control truck! Our daughter’s number #1 Christmas wish is for a laptop. My daughter is asking for a new trampoline. She had one that a neighbor gave her but it finally gave out. My boys would love some Legos and they love anything they can play with outside. A trampoline would be a fantastic surprise! With 5 the wish list is long but my gymnasts asked me yesterday if santa could just turn the garage into a home gym? They would be head over heels (pun intended) for a trampoline! My daughter is wishing for a hatchimal but would literally flip over a trampoline! All 3 of my kids want a puppy and trampoline!! Each boy has a special item that they want, but it always comes back to Nerf Guns and Legos. So funny the timing of this! I walked into their Blakeney store to get some information right before Thanksgiving. Would love to win this for my kiddos! My son wants X-Box one games and my daughter wants cheer mats. They would love for it to snow – snow AND trampoline would be amazing! My children would love a trampoline & basketball goal! No number one wish which makes it very difficult for Mama! My kids really want Paw Patrol toys! My boys always ask for Legos! My 7 yr old son has been begging me for a trampoline and swing set. My 2 year old daughter really loves Mickey Mouse right now so she would probably ask for a Plush Mickey if she could talk yet. Thank you for the chance! Amazing giveaway! A Hovertrax 2.0 and a bunny! My grand kids number 1 wish is to have a trampoline. Right now they are hoping the elves arrive so their wishes might be delivered to The North Pole!! Trampoline of course! Or maybe that’s what I want! My kids would love a trampoline! My kids have wanted a trampoline for years now. Winning this would make their dream come true! My kids would love a springfree trampoline with a basketball hoop for Christmas! My kids would love a PlayStation and a trampoline for Christmas this year. Their wish is for no homework ever again! All 3 want a puppy! I’m hoping for the trampoline instead! they both want a trampoline!! !